OUR PRICE: $8.65 - Join Rewards Get $1 Dance Dollars On This Item! Bodywrappers 27" stirrup legwarmers. Machine wash cold with like colors, dry flat. Do not bleach. These leg warmers are so cute!! They keep my legs super warm at the beginning of class and they are super comfortable. A little baggy around the calves, ankle, and feet, but that's to be expected from a one size item. I'm also very small too. The length is perfect though, just like in the picture. I ordered them in pink and they match my tights perfectly! I personally prefer stirrup leg warmers over regular ones, I just think they look nicer, so these are perfect for me!! Will definitely be ordering more of these in the future. 100% would recommend! These are some of the best legwarmers I have ever owned! They're incredibly soft and warm you up quickly, and the length is perfect! Have them in black and pink, might just have to get the burgundy now, too. I got them to help keep my legs from breaking out during the winter. They're light-weight, warm and comfortable--not itchy or scratchy. You may want something heavier if you're in an extremely cold climate, but they're fine for winters here with temps mainly in the 20s to 40s. Definitely one of my favorite warm-ups! They keep my legs and ankles warmed up, and they are snug enough to show lines, but aren't too tight. I would recommend these legwarmers to anyone! I love these so much. They're pretty, warm you up very quickly, and they're nice and snug so they make your legs look amazing. I think I'll buy a few more pairs! I LOVE these so much! The height is perfect (it comes about an 2 in. over my knee) They aren't too tight and they don't stretch out to loose. I love them because they keep my mussels warm and the fabric is very breathable. I have had mine for over a year now and they are starting to get a hole in the bottom but nothing a needle and thread can't fix. I am getting a 2nd pair in another color because I love them so much! Can't speak as to durability as I've only worn them once so far. I'm wearing them over character shoes typically, soon will be over ballroom shoes for the first bit of class (I'm starting tango lessons next week, and I know from previous dance classes I have a tendency to be VERY cold the first half hour or so!). I have fairly average width legs and they're a little tight around the knee when worn just above, so I slouch them down just a little until it's just below the knee. Very soft, which I wasn't expecting!  The black looks lovely. I ordered both the pink and the black. The pink is a little brighter pink than I was expecting, but still cute and stylish. They are the perfect length for my legs (I am 5'4") and the stirrup part seems to hold up well. These are solid legwarmers. They're comfortable and seem to hold up okay to washing. Definitely a good buy for the price. These legwarmers are very essential and inexpensive. They work well in my ballet class on winter days to keep my legs warm. The only problem is that they are a little tight on the top and they only go to my knees (I'm 5 feet 3 inches). If you want something that goes to your thighs, get the 36 inch legwarmers. I can not go without wearing leg warmers in ballet class. This pair is a beautiful light pink color. They have a good stretch to them. They are comfortable and keep me warm throughout class. They stay put. A well made leg warmer. 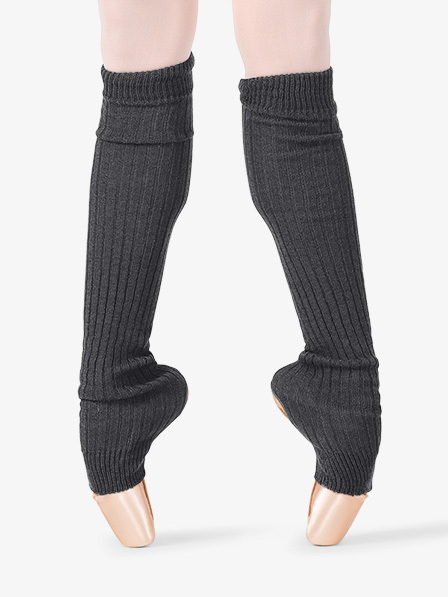 These are such great legwarmers- especially for the price! They run a little bit tight at the top but seem to be stretching nicely. I would buy another pair! My teen loves her leg warmers. They fit well for her tall, thin legs. I adore these legwarmers! They keep my legs very warm and supple before and after class. I am not getting any holes or tears in them like a few others were saying but there are very slight signs of wear at the heel. I'm not worried about it because the elastic heel band is sturdy. These do go a few inches above my knees and I have fairly thick legs and am of average height. If you're in search of an inexpensive, yet quality legwarmer, you've found it. I purchase this leg warmer to go over my euro tights. While they don't come over the knee as pictured I'm still very happy with them. They are warm and comfortable. I just got these and I love them! I got the small/medium in black and they stay on my legs well. I give them four stars for durability because I haven't washed them yet. Love these leg warmers. They are very comfortable. I just wish they came in more colors! I ordered theses for my upcoming professional NFL cheerleading auditions. I must say so far so good. I like the way they fit and look on my legs. Great purchase!! It's comfy and fun and pretty. I feel like I should but the black one too because these go with EVEYTHING. I was a bit nervous that these weren't going to be long enough after reading the reviews, but I had already placed my order so I figured I would give them to one of my shorter, less leggy friends if they weren't. Well, I received them and they fit perfectly; I absolutely LOVE them! I'm 5'7 with long legs and these go well over the knee on me. I'm honestly baffled at the reviewers saying they're not long enough. I've been using these for a couple of weeks now, and the quality is great as well. I will be purchasing a few more pairs. These legwarmers get the job done. They come up just past the top of my knee (I'm 5'2, 110lbs) and stay up well with tights on, but I haven't worn them without tights under. As some other reviewers mentioned, the part that covers the foot is a bit longer than I expected. It's not bad, but I think if that portion were shorter, it would add a little more length to the top, which would be nice. Overall, a great affordable buy! Wish they came in more colors! I got this in the color Pink and I am loving the color. We went on stage last week and I used them for warm up. It was the perfect warm up essential. I would recommend this to anyone. Very cheap and worth the buy! I know these are one size fits all and I'm pretty tall and muscular, but I was surprised at how small they were. They go up just above my knees if I tug them enough and are kind of tight, but I suspect they'll loosen up a little. They do look nice, and they aren't very thick but they aren't too thin either. Good leg warmers for the price but if you want something that covers more leg and is extra thick and warm, you'll probably have to get a slightly more expensive pair. I was so excited to get these in the mail. I was soon dissapointed as after only a few wears a large hole appeared in the stirrup. I still wear them but I wish I had tried another brand. I have these in ballet pink. They are very comfortable and great quality. I love these legwarmers, but they do tend to get small holes around the stirrup part. Overall great legwarmers! These are great, comfortable, and -- most importantly -- adorable. I would highly recommend them to anyone and everyone. I bought these legwarmers sometime in the beginning of the year, and they are long (im about 5'3) although if you have kind of long nails like me it will get stuck and might start making a little bit of a fray, but thet are really great. Unfortunately, someone stole both of my pairs, and I really miss them they are great!! I'm 5'6" with thick legs and these just cover my knees. I would have got longer ones but I am afraid they would be too tight on my thighs. They are very cozy and they do not slide down at all. These legwarmers are a stylish color (I have these in pink), but they aren't as long and comfortable as I hoped. They come to the bottom of my knee. The fabric is kind of scratchy and irritates me a little. They get dirty easily and the dirt doesn't wash out. But they do warm you up. I have these in pink and they are excellent! They are very cute and the stirrup makes my arch look better than it is. My friend has the same ones in pink and she loves them as well. Very durable and comfortable. I would definitely recommend these. These legwarmers are great!!! I do not have skinny legs and they fit me beautifully. It gives my leg a very slimming look which I appreciate very much. I would definitely recommend this product to anyone that is looking for style and comfort. I love these legwarmers! At first they seemed really thin, but apparently they do the trick since I started sweating buckets within the first 10 minutes of class. I am 5'5", 100lbs and they go up comfortably above my knee. They are a bit tight, and I've used them for four or five classes. Maybe they'll stretch out? It was a little uncomfortable at first, but now they're better. But all in all, these are amazing! I like stirrups so much better than regular ones since they give you more grip and let you feel the ground. They are ok. After a couple of uses they start to feel loose but are still comfortable I would recommend this they are affordable and ok quality!!!! These are really soft and warm. They are a beautiful dark black and they are long enough to go over my knees even though my legs are really long. Iove them! Comforable, but wore out quickly. These were a little bit shorter then I expected. They barely reached over my knees and I am only 5" 3. They are very comfortable but developed holes in both heels about my second time wearing them. Comfy with a great fit! These are really comfy and warm, and have a great fit. I'm 5" still going and they go a bit above my knees and I'm sure they'll fit me for a while. they will fit anyone 4 '10"-5 '4" around knee area! Don't be worried about size unless you're super tall! I had these on for about 5 minutes and my legs were already toasty. They are so comfy. I'm 4'11 and they come up just a little above my knee. I absolutely love these leg warmers. They are very comfortable, and they keep your legs nice and warm. I have been wearing them to several hours of class per week and they have been holding up really well. There is only a slight bit of wear at the heel, but it hasn't started to ravel or anything. Best part is, these wont leave annoying lint on your tights! These are so comfortable! The pink is a little brighter than shown in the picture but I still really like them. I plan to wear them backstage for my upcoming recital and I also plan on getting them in black. Have these in both colors. Great fit, very soft and comfy, and holds up well in the wash. Perfect length, can also scrunch down for more warmth on ankles, or pull up off your feet and over your knee for padding for floorwork. Wish there were more colors! I love these warmers so much! I wear them all the time in the winter. They are super comfortable, stay up even on my muscular legs, and very durable! LOVE THESE SO MUCH! I got a black pair and a pink pair. They are so comfortable and I am very happy with this product! 27" legwarmers sounded long (I even measured), but these cover a lot of your foot, and on me (I'm 5'5"), they just barely cover my knees. They are warm and comfy, and I still use them, but they tend to roll down because they hit an awkward place. I'm going to go back and purchase the 36" version instead. I also like that they cover my feet to help keep them warm in the cold studio. these are awesome i have had the black ones for almost 6 years and they still work great! i still wear them all the time and i love them and they really do keep my legs warm. I have the pink ones two i got those 2 or 3 years ago and still love them!! So i would recommend these leggwarmers for everyone! I absolutely LOVE these legwarmers. I ordered them in pink and they're super cute over my ballet shoes and tights! Super comfortable too. I'm 5 2" and they go about mid-thigh for me. Overall a great buy for so little! Are these comfortable, last long, and good for ankles? I need legwarmers for this weird thing I have, if I don;t wear legwarmers before and after dance my ankles will bother me. While we do not make legwarmers specifically for ankle conditions, these will give you complete coverage and will stay in place better than other legwarmers due to their stirrup style.